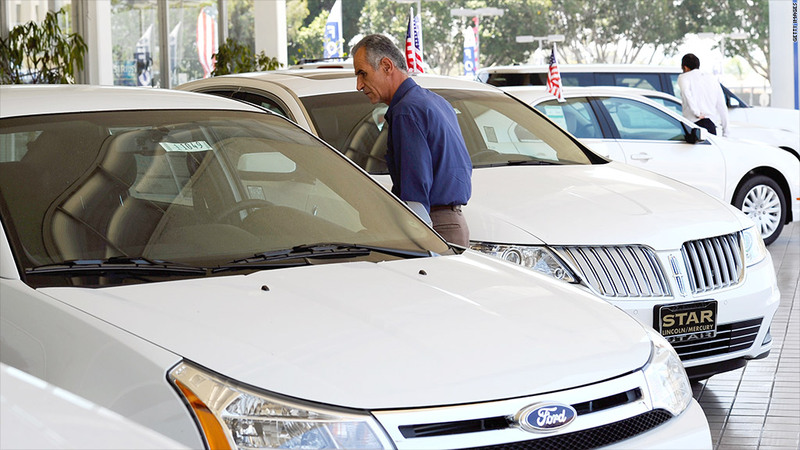 Auto sales kept on rolling in January. The world's major car makers reported strong U.S. sales for the month of January on Friday, providing further indication that demand for new vehicles that lagged amid the weak economic recovery in the past few years is starting to return. January vehicle sales came in at a seasonally adjusted annual rate of 15.3 million, according to Autodata, up from 14.0 million a year ago. General Motors (GM) led the way among the top four U.S. automakers with 194,699 vehicles sold, up 16% versus a year prior. Ford (F) had 166,501, a 22% gain. Toyota (TM) sold 157,725 vehicles, up 27% versus a year prior, and Chrysler Group had 117,331, a gain of 16%. Sales remained in high gear in January even after a strong December. Overall, industry sales rose 13% in 2012 to 14.5 million, the biggest increase since 1984.